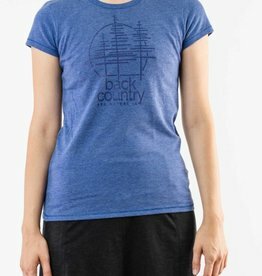 Women's Back Country Tees. Available in "Trees" (off white on black; no text) and "Badge" (navy on blue heather; text). 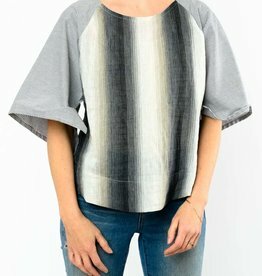 Cut Loose Short Sleeve Linen Stripe Top. 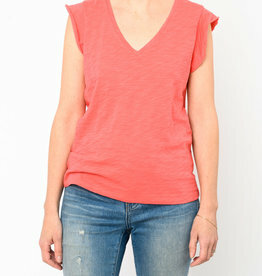 Available in Aphid and Iris. 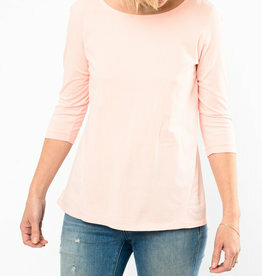 Lilla P Flutter Sleeve V-Neck.